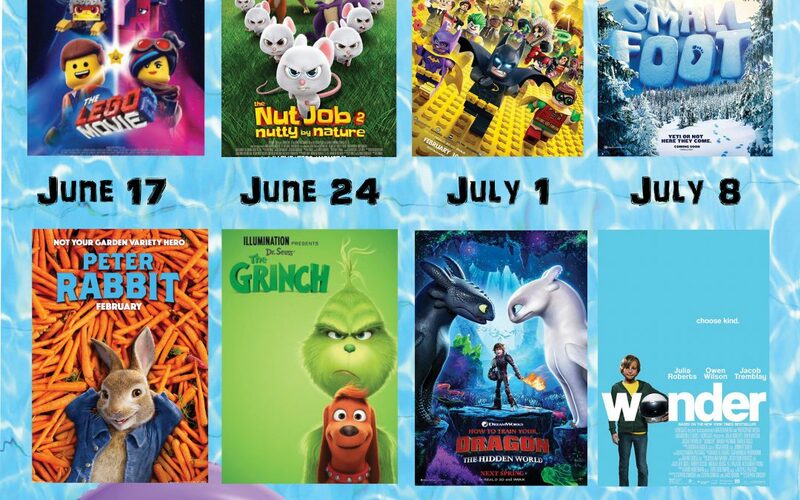 The Canton Palace Theatre and the Canton Professional Educators’ Association (CPEA) presents the eight-week movie series Summer Kids Movies. The movies will begin at 1pm, with doors opening at 12:30pm. Admission is $1.00 and group reservations are available by calling 330-454-8172 up until 4pm on the Friday before the movie showing. All tickets are sold at the door the day of the movie showing. The Summer Kids Movie Series, now in its 17th year brings children and adults from all parts of our community, including many summer camps and child care facilities. The concession stand is always open, serving movie theatre favorites including popcorn, soft drinks, water and candy.